Establishing the essential core competencies required for performing the duties of the Resources Unit Leader (RESL) in an all-hazards incident, ICS-348 addresses all responsibilities appropriate to an RESL operating on a government and private industry Incident Management Team (IMT). 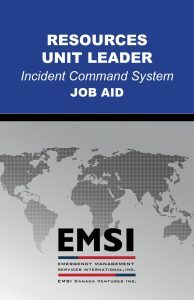 This course provides an overview of Unit Leader responsibilities, the Planning Section, and the planning process to contextualize the Resources Unit for participants unfamiliar with the planning process or the Incident Command System. This course is an instructor-led training that supports learning through discussion, lecture, and active participation in multiple exercises that provides a realistic, hands-on approach to mastering the skills required of an RESL.